For the last 75 years, our Italian Market store has been tucked into 930 S. 9th Street. Warm, vibrant, and delightfully cramped with delicious goodies from floor to ceiling, our original location houses a cheese cave, antipasti bar, charcuterie station and fifty linear feet of specialty ingredients. 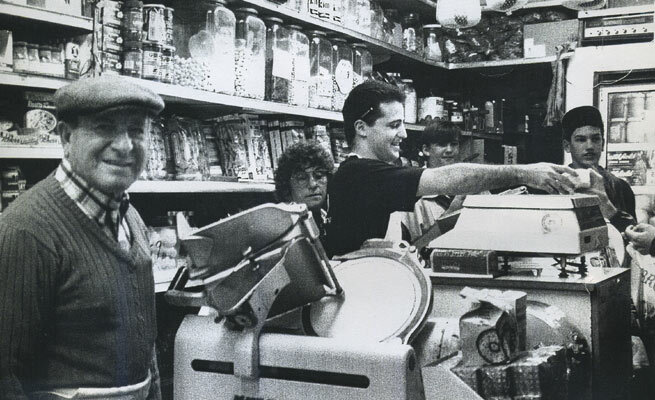 Visit for a taste of the original Di Bruno Bros. where Danny and Joe began their journey to achieve the American Dream. Once you've grabbed all of the good stuff, explore the rest of the Italian Market and all that South Philly has to offer! Stop By & Say "Hello!" What began as a modest Italian Market storefront, has blossomed into a Philadelphia culinary institution. All of that began within these same walls, tucked into a bustling block on South 9th St. Plan your trip and be sure to be hungry, as the mongers are handing out samples and look forward to introducing you to your next favorite flavor. 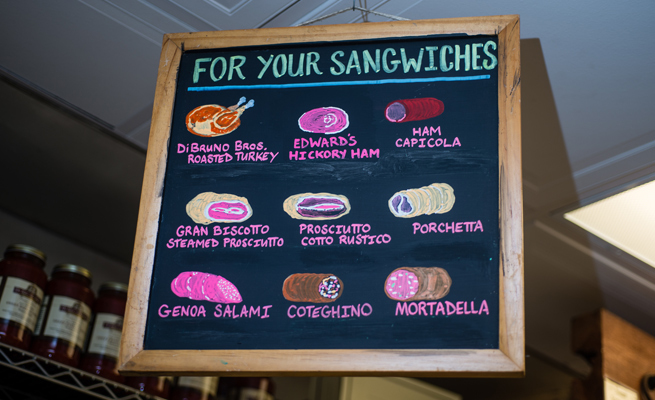 Di Bruno Bros. After Hours! Don’t forget the store can be yours for a night! Lock yourself and eight friends inside our historic 9th Street store while you try pairings crafted by our cheesemongers. In addition to our artisanal cheeses, gourmet charcuterie and antipasti, our cheesemongers will whip up select concoctions not available elsewhere, while they regale you with wondrous facts and tales of life behind the cheese counter. This BYOB-friendly event is a unique chance for an in-depth look into and taste of all that is Di Bruno Bros. Book your next After Hours experience via the link below.